Defendant's criticism of the draft was not protected by the First Amendment, because it was intended to result in a crime and created a clear and present danger to the enlistment and recruiting service of the U.S. armed forces during a state of war. Real obstructions of the law, giving real aid and comfort to the enemy, I should have been glad to see punished more summarily and severely than they sometimes were. But I think that our intention to put out all our powers in aid of success in war should not hurry us into intolerance of opinions and speech that could not be imagined to do harm, although opposed to our own. It is better for those who have unquestioned and almost unlimited power in their hands to err on the side of freedom. Rather than proceed in the face of Holmes's biting dissent, Chief Justice Edward Douglass White set the case aside and word of the situation evidently reached the Administration, because the prosecution was abandoned. White then asked Holmes to write the opinion for a unanimous Court in the next case, one in which they could agree, Schenck v. United States. Holmes wrote that opinion, and wrote again for a unanimous court upholding convictions in two more cases that spring, Frohwerk v. United States and Debs v. United States, establishing what remains the standard for deciding the constitutionality of criminal convictions based on expressive behavior. Holmes disliked legislative-style formulas, and did not repeat the language of "clear and present danger" in any subsequent opinion, however. The Schenck opinion alone accordingly is often cited as the source of this legal standard, and some scholars have suggested that Holmes changed his mind and offered a different view in his equally famous dissent in Abrams v. United States. The events leading to the assignment of the Schenck opinion to Holmes were discovered when Holmes's biographer Sheldon Novick unearthed the unpublished Baltzer opinion among Holmes's papers at Harvard Law School. The facts of the Schenck Case were as follows. Charles Schenck and Elizabeth Baer were members of the Executive Committee of the Socialist Party in Philadelphia, of which Schenck was General Secretary. The executive committee authorized, and Schenck oversaw, printing and mailing more than 15,000 fliers to men slated for conscription during World War I. The fliers urged men not to submit to the draft, saying "Do not submit to intimidation", "Assert your rights", "If you do not assert and support your rights, you are helping to deny or disparage rights which it is the solemn duty of all citizens and residents of the United States to retain," and urged men not to comply with the draft on the grounds that military conscription constituted involuntary servitude, which is prohibited by the Thirteenth Amendment. After jury trials Schenck and Baer were convicted of violating Section 3 of the Espionage Act of 1917. Both defendants appealed to the United States Supreme Court, arguing that their conviction, and the statute which purported to authorize it, were contrary to the First Amendment. They relied heavily on the text of the First Amendment, and their claim that the Espionage Act of 1917 had what today one would call a "chilling effect" on free discussion of the war effort. 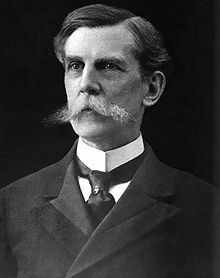 The Court, in a unanimous opinion written by Justice Oliver Wendell Holmes, Jr., held that Schenck's criminal conviction was constitutional. The statute only applied to successful obstructions of the draft, but common-law precedents allowed prosecution for attempts that were dangerously close to success. Attempts made by speech or writing could be punished like other attempted crimes; the First Amendment did not protect speech encouraging men to resist induction, because, "when a nation is at war, many things that might be said in time of peace are such a hindrance to its effort that their utterance will not be endured so long as men fight, and that no Court could regard them as protected by any constitutional right." In other words, the court held, the circumstances of wartime allow greater restrictions on free speech than would be allowed during peacetime, if only because new and greater dangers are present. The most stringent protection of free speech would not protect a man in falsely shouting fire in a theatre and causing a panic. ... The question in every case is whether the words used are used in such circumstances and are of such a nature as to create a clear and present danger that they will bring about the substantive evils that Congress has a right to prevent. It is a question of proximity and degree. The phrase "shouting fire in a crowded theater" has since become a popular metaphor for dangers or limitations of free speech. In subsequent cases, when it appeared to him that the Court was departing from the precedents established in Schenck and companion cases, Holmes dissented, reiterating his view that expressions of honest opinion were entitled to near absolute protection, but that expressions made with the specific intent to cause a criminal harm, or that threatened a clear and present danger of such harm, could be punished. In Abrams v. United States, he elaborated on the common-law privileges for freedom of speech and of the press, and stated his conviction that freedom of opinion was central to the constitutional scheme because competition in the "marketplace" of ideas was the best test of their truth. In Whitney v. California (1927), concerning a conviction for seditious speech forbidden by California law, Holmes joined a concurring opinion written by Justice Louis D. Brandeis once again explaining the clear-and-present-danger standard for criminal attempts in these terms, reiterating the argument that political speech was protected because of the value of democratic deliberation. The Supreme Court continued to affirm convictions for seditious speech in a series of prosecutions of leftists, however, culminating in Dennis v. United States, 341 U.S. 494 (1951) in which a bitterly divided Court upheld the sedition convictions for the leaders of the Communist Party. Judge Learned Hand in the court below and Chief Justice Vinson for the plurality in the Supreme Court cited Schenck, and the language of "clear and present danger" accordingly fell into disfavor among the advocates of free speech and freedom of the press. A unanimous Court in a brief per curiam opinion in Brandenburg v. Ohio (1969), abandoned the disfavored language while seemingly applying the reasoning of Schenck to reverse the conviction of a Ku Klux Klan member prosecuted for giving an inflammatory speech. The Court said that speech could be prosecuted only when it posed a danger of "imminent lawless action," a formulation which is sometimes said to reflect Holmes reasoning as more fully explicated in his Abrams dissent, rather than the common law of attempts explained in Schenck. Brandenburg is also taken to have repudiated the clear-and-present-danger standard as construed in Dennis, and to have adopted something more like the explication given by Holmes and Brandeis in subsequent opinions. Partly because the standard for protecting expressive behavior under the First Amendment was stated differently in his different opinions, "revisionist" scholars have argued that Holmes changed his mind in the summer of 1919, and that after writing three opinions for a unanimous court, he stated a different and more liberal view in his Abrams dissent a few weeks later. Bolstered by this argument, a number of advocates for freedom of expression have insisted that the Supreme Court has rejected Schenck and the majority opinion in Abrams, and in practice has followed the reasoning of Holmes' Abrams dissent and Brandeis' and Holmes' concurring opinion in Whitney. The Court has repeatedly reaffirmed Schenck, however, holding that the destruction of a draft card could be prosecuted as a violation of Selective Service regulations even though carried out as a protest (United States v. O'Brien), but that burning an American flag at a protest could not be prosecuted because it posed no danger of causing a harm that the legislature had power to forbid (Texas v. Johnson). In 2010, the Supreme Court rejected the argument of Holmes's Abrams dissent. The facts in Holder v. Humanitarian Law Project were similar to those in Abrams: persons who planned to advocate the causes of Sri Lankan and Kurdish organizations, designated terrorist groups, had a reasonable fear of prosecution under the USA PATRIOT Act, 18 U.S.C. Section 2339B, for providing material support for terrorist organizations. The Supreme Court held that such prosecutions were not barred by the First Amendment, expressly rejecting the argument that a "specific intent" to assist terrorist acts was required, rejecting also the claim of the dissenting justices that the case was governed by the concurrence in Whitney, or by the standard stated in Brandenburg. Finally, in Citizens United v. FEC, the majority of the Court rejected the argument made by the dissenters that the First Amendment was premised on the value of democratic deliberation in the "marketplace of ideas." Instead, they held that First Amendment rights are individual, not based on communitarian considerations. ^ University of Texas at Austin. "The Espionage Act and The Limitations of the First Amendment". edb.utexas.edu. , which prohibited willful obstruction of the recently-enacted draft. ^ a b Holmes, Oliver Wendell. "Schenck v. United States 249 U.S. 47". Opinion. Legal Information Institute. Retrieved 23 February 2012. Kessler, Mark (1993). "Legal Discourse and Political Intolerance: The Ideology of Clear and Present Danger". Law & Society Review. Law & Society Review, Vol. 27, No. 3. 27 (3): 559–598. doi:10.2307/3054105. JSTOR 3054105. Sheldon Novick, "Preface: Honorable Justice at Twenty-five," in Honorable Justice: the Life of Oliver Wendell Holmes (1989, 2013). Timm, Trevor (2 November 2012). "It's Time to Stop Using the 'Fire in a Crowded Theater' Quote". The Atlantic. This page is based on the Wikipedia article Schenck v. United States; it is used under the Creative Commons Attribution-ShareAlike 3.0 Unported License (CC-BY-SA). You may redistribute it, verbatim or modified, providing that you comply with the terms of the CC-BY-SA.